Fighting in Sweden for an ambitious warlord, Sigurd Haraldarson and his small but loyal band of oath-sworn warriors are winning fame and reputation. 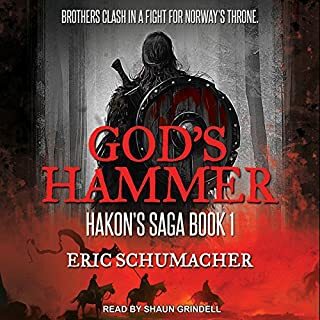 But Sigurd knows that to take on his hated enemy, the oath breaker King Gorm - the man who betrayed his father, a man Sigurd has vowed to kill - he must earn riches enough to build an army. Many believe Sigurd to be Óðin-favoured, but his exploits have drawn the eye of another god, too: Loki the Trickster. And when a daring assassination attempt goes wrong, Sigurd finds himself a prisoner of the powerful Jarl Guthrum. 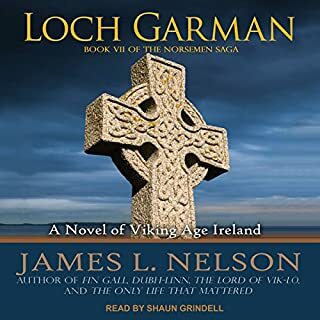 Bound like a slave, his luck having seemingly deserted him, Sigurd is taken to the sacred temple at Ubsola, a place where the blood of human sacrifice flows to appease the gods. It is at Ubsola that Sigurd will face the sacrificial knife. And it is here that he will find a powerful relic, the great spear that was said to have once belonged to Óðin himself. With such a spear in his possession, Sigurd might now assemble a host strong enough to challenge King Gorm and wreak the revenge he craves. For, like Óðin, Sigurd will be the Wild Huntsman tearing through the sky on his fearsome steed, and the rage of his passing will be the sound of wings of the storm. 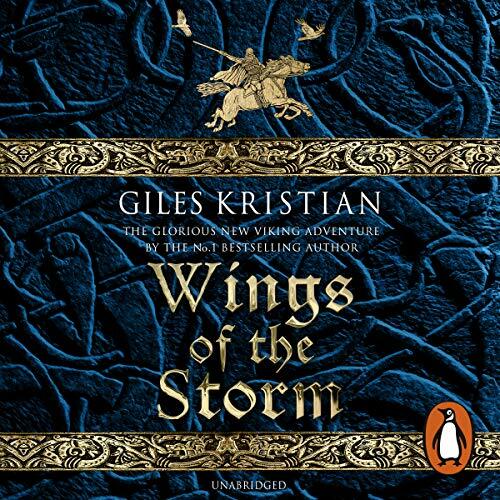 With Wings of the Storm, one of our finest young historical novelists brings his extraordinary Viking saga - an adventure that is sure to satisfy any Game of Thrones fan - to a triumphant close. Great story. Great narration. Great way to wrap up this tale. A telling even skalds would be proud to tell. Awesome story of vengeance, Gods, and kings!!!! If you like Viking stuff this is a must!!! Loved it. Had me looking forward to listening. Left me thirsting for more of this. great series. interesting and very flawed characters. can't wait to listen to the next episode. I really enjoyed this story. I will be looking forwards to the next saga. Thank you. Like a God of War. Great series. The author is a sophisticated story teller with one exception. Gotta say. The descriptive phrase “ like a god of war” was overused. But.... as I said. Great series. Very much like a Bernard Cornwell book. Superbly written. The story was highly entertaining. It was written to resemble the style of a saga and succeeded in bringing that flavor to a most agreeable book. Unfortunately the narrator has only a single voice and limited talent. His performance was the only disappointment I experienced in what was an otherwise great series. 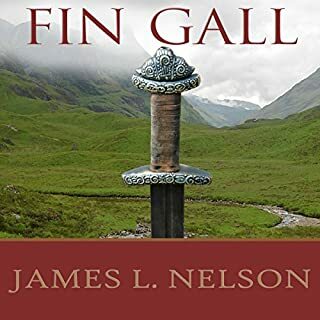 The first two and a half books were just on the limit of being believable, but the final battle was more fantasy where the heroes become superhuman and vanquish all foes with ease. made me smile, cry and grin. I love this series. I wish it never ends. Oh yes! The clash of steel, the smell of blood and the ever-sharpening malice of the Gods! 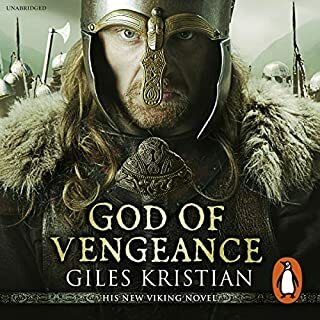 Giles Kristian brings his quite stunning Viking saga to a fittingly violent and bitter conclusion. If you liked the previous books there is little to fear in terms of disappointment here. 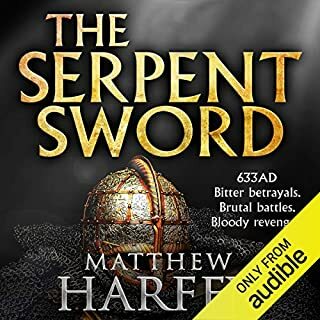 Possibly it does stretch realism a bit with Sigurd's latest set of adventures but everything that is good about the earlier installments is present again in spades. It all builds to a real crescendo as Sigurd closes in on his heart's desire of Vengeance against the Oathbreaker. 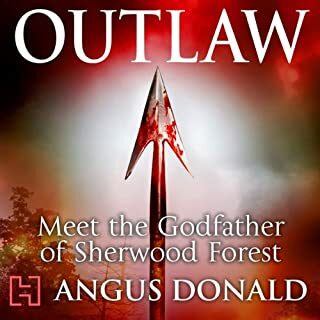 This is a fine series for anyone who likes the genre and I was particularly delighted that Kristian gives his full cast of characters a &quot;good&quot; end. As I have mentioned before the female characters are brought to the fore in what is often a totally male-dominated style of tale. Excellent, what will he come up with next I wonder? Simply fantastic stuff! What a journey that was! From the treacherous beginning to the vengeful ending. My limbs ache for I have taken every step, fought beside the pack, made very sure to keep on the right side of Black Floki and fallen in love with Valgard, Runa (and most of the other warrior sisters). More! More! I've read the books and listened to the Audio books, I can't get enough. Is there any chance of the Raven series being set to audio? great stuff from start to finish. great heroes and villains . could have been written by Odin himself. one of those books that you wish would never end. If you loved the first book, struggled through the more pedestrian second one, this is definitely worth the wait. Totally fulfils the promise of the series in a massive final act. Great characters, great story, beautifully written and so vivid. Enjoy! An epic saga tale of which Woden himself would be proud! The perfect combination of exquisitely written story by the Author and spellbinding delivery by the narrator. although thourghly enjoyed I can't help wanting more, what happens next, who goes with whom and where do they settle, it's a big gap to raven blood eye. but Giles Kristian is a great writer and I look forward to more of his work, and as a skald Philip Stevens holds the attention around my hearth into the small hrs reason enough to want more tales of the norsemen. loved it and disappointed when it finished, listened the all three books there needs to be more. Part 3didnt disappoint. Enjoyable narrative and story telling. Good characterization from the teller. A good although expected ending , I've enjoyed all 3 stories and will lookout for Giles other books. loved the whole saga from start to finish, I don't ever write reviews but how could i not with this story..... well done to all involved.